When electronic music comes to the mind of many, there are certain connotations and presumptions people hold regarding its sound and culture. With a large number of commercialized electronic music favouring specific tonalities, it can be challenging to sift through the saturation of a party-favoured industry to find something authentic in it's quality. Austin-based producer Froogle challenges these standards in electronic music, oscillating lines between genres to create the rawest of music. At only 21 years old, the young producer is currently a part of the Heroic family, alongside artists including WRLD, Ark Patrol, San Holo and other carefully curated talents. Froogle's work draws inspiration from more organic instruments and soulful elements to in turn implement them into complex electronic sound designs. 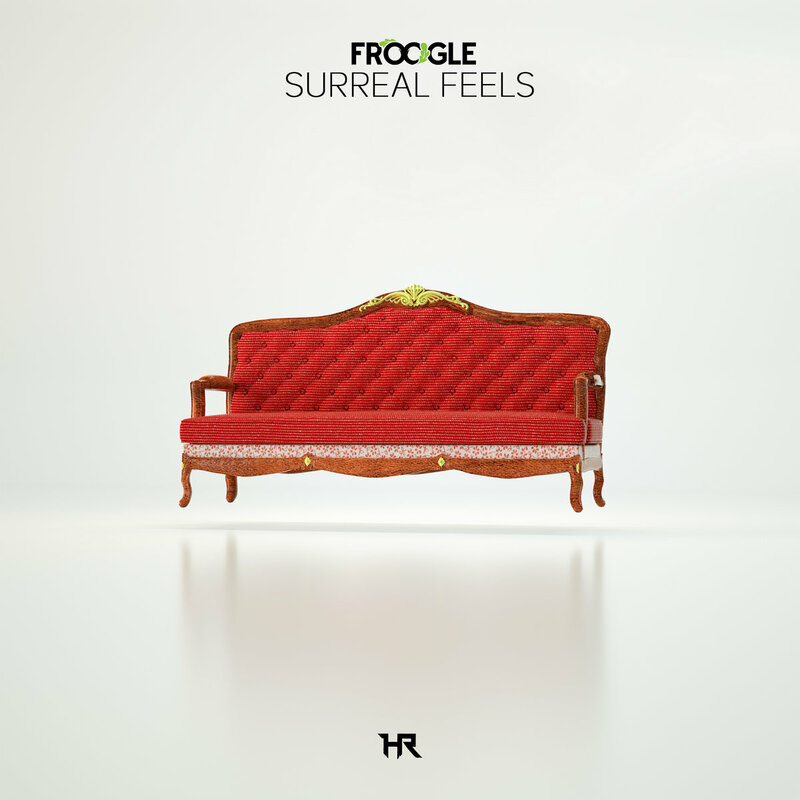 In his most recent, Froogle has unveiled a stunning 5-track EP, appropriately titled Surreal Feels. The EP has garnered talents from silky vocals of Josh Rubin to a cool rap feature from Yung Fusion, dabbling in a spectrum of musical genres and glowing in diversity. The first track, "Can't Get Away" features an intro with smooth vocals from Josh Rubin, whom he had collaborated with in a unique take of Justin Bieber's "Mark My Words". Strained emotions are evident in Rubin's voice, which are then accompanied by crisp percussion and minimalist synth work that muffles in and out. "Feel You" features Bassline Drift and offers more dismal "feels". The smoky vocal work meshes with bubbling synths that pans throughout the space of the track. A darker grunginess then overwhelms the song with the introduction of grimy synths towards the middle. Yung Fusion makes an unexpected yet exciting appearance on "Shut Down", providing ingenious words over a fresh and modest trap beat. With plucking synths and subdued "wubs", the track speaks as hard-hitting in the most subtle and coolest manner. The hip hop element of Froogle's EP opens up new dialogues in how electronic music can be approached. "Lucid Dream" stands out as a wavy soundscape, haunting listeners with delicate sounds to induce imaginative spikes within the mind. Froogle's use of tactful panning shows a construction for an infinitely expansive emotional field, that digs deep and reunites listeners to the heaviest of emotions with every listen. "Lucid Dream" is the type of song to have listeners wonder how art without physical presence or words can make such an indelible mark on emotions. Concluding Surreal Feels is "Feels Like", a collaboration with producer Mapps and vocals from Josh Rubin in a poignant work. The lyrics in the track address a vulnerability in human emotion, which additionally encompasses the entirety of the EP. Froogle's downtempo vibe is far from simple as "Feels Like" is immersed with peculiar intricacies waiting to be noticed and dissected. Surreal Feels is a prime example of what makes not only a captivating album with obscure details, but additionally reveals itself as a timeless work with potential to remain relevant. Froogle manages to find the happy medium between an acoustic approach and highly-developed electronic production, showcasing a delectable charm in his aesthetic. Check out the new EP below! Fytch and Dabin elevate us to a higher "Altitude"